It wasn't that long ago that Audi had no SUVs in its lineup - aside from the A6 Allroad Quattro - despite being known for its all-wheel-drive vehicles. But that's all changed, just as it has for BMW and Porsche. The Q7 was followed by the Q5, and now the Q3 has started production as well. The first Q3 rolled off the assembly line today at the plant in Martorell, Spain. The facility belongs principally to Audi's sister-company Seat, but has gone through a considerable expansion - funded by both Audi and Seat - to prepare for the Q3's production. 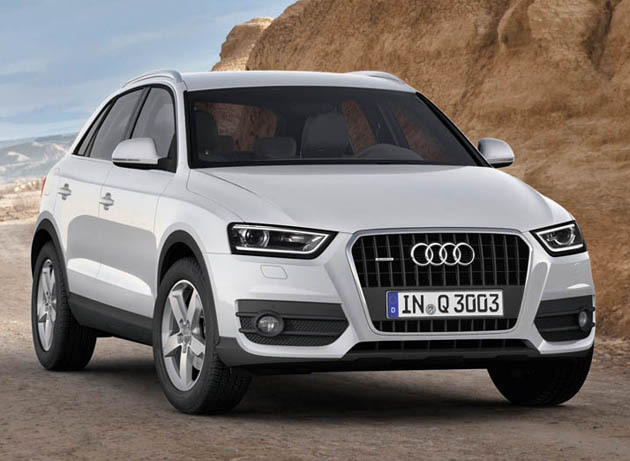 Audi Q3 production begins in Spain originally appeared on Autoblog on Tue, 07 Jun 2011 10:30:00 EST. Please see our terms for use of feeds. Did this using an auto import rss feature, figured id try it. The html decoder doesn't work though thus you see this.